Call about available Used Equipment for sale. Both Truck and Trailer are for sale! 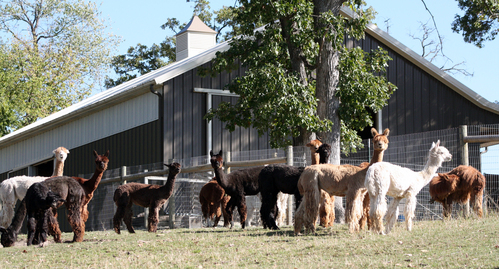 We have been fully immersed in raising Suri alpacas since 1996. Our experience gives us the confidence to offer services in providing healthy and productive breeding stock for the advancement of the alpaca industry as a whole. 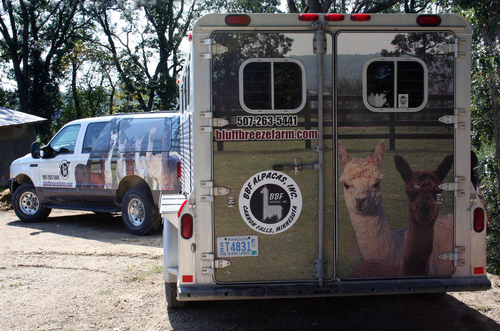 Give us a call to find out how we can help you have a successful journey with Alpacas! Please visit www.bluffbreezefarm.com for complete details. Herd Management & Marketing Services.